CINCINNATI -- Sometimes it pays to see the world a little differently. For the founders of Physna LLC, it might soon pay quite well. Physna is a software solution that quickly and precisely compares one 3D model to thousands of others. Manufacturers can use it to improve quality control and more rapidly develop prototypes, saving money and boosting productivity in the process. 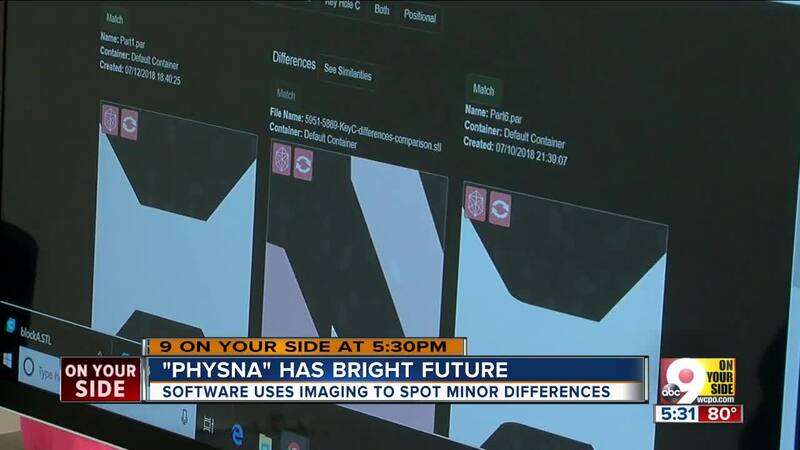 After two years of testing, Physna is close to signing a licensing deal that could put its software to work in factories all over the globe. If it all pans out as expected, the company will reach $100 million in annual revenue in the next three to five years and be worth over $1 billion. The story of how that technology came to life is a hopeful tale that shows a good idea still has economic power, the right kind of networking can still build a company and Cincinnati is still a place where all of those things can happen. The story begins with triangles. The rest of the industry takes a more two-dimensional approach, evaluating the similarity of objects by comparing their corners and edges, Powers said. Physna takes a three-dimensional approach, using facets and formulas to define an object’s unique attributes. Powers is seeking international patents on the approach, which took a team of code writers two full years to develop under the direction of Physna Chief Technical Officer Glenn Warner. Warner joined Physna in 2015 after getting a cold call from Powers, who thought he needed an expert to flesh out his theories about decoding the physical world. So, he started Googling 3D printers in Cincinnati. Warner, founder of a Verona-based 3D printing company called Gorilla Maker, agreed to have lunch. The serendipity of that first meeting is remarkable, when you think about their backgrounds. Warner grew up on a Bracken County farm and turned a boyhood obsession with fixing things into a 33-year career helping companies recover from hard-drive crashes and developing new kinds of 3D printers. 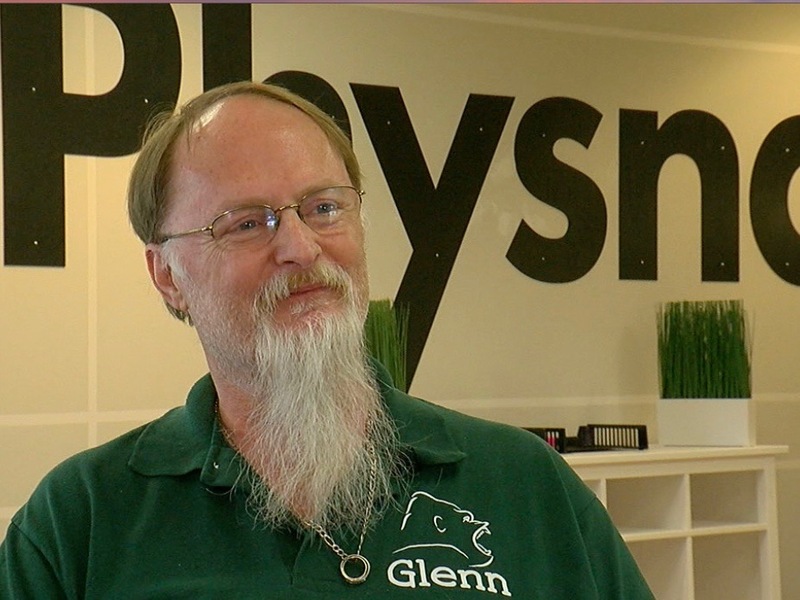 His three-year-old company, Gorilla Maker, works with schools, universities and NASA’s Space Camp to train students on the use of 3D printers to make tools, toys and other objects. Powers grew up in Westwood, where he was mostly home schooled until he moved to Europe and earned a law degree from Heidelberg University. 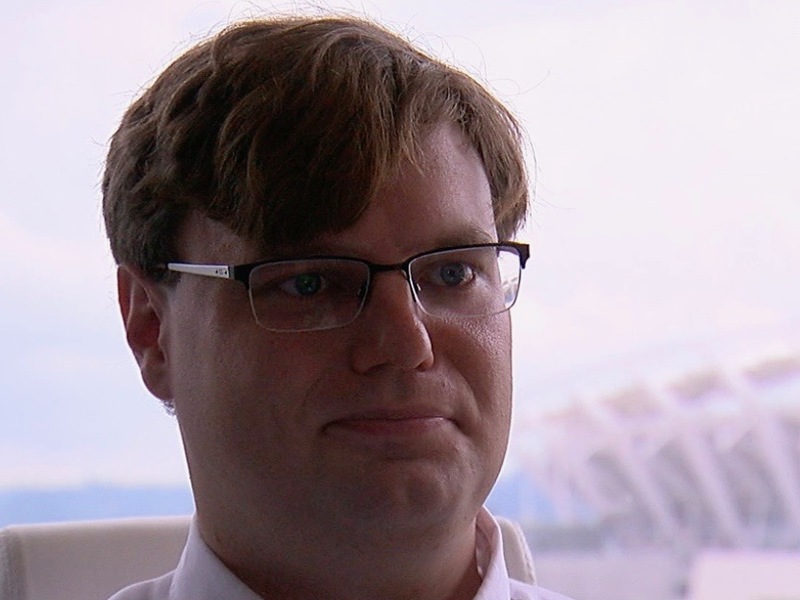 While working as a patent lawyer in Germany, he came to understand the global threat posed by digital innovations like 3D printers, which allow people to scan and copy any physical object – even those protected by patents. While the original intent of Physna was to give patent holders a way to prevent the theft of their original designs, Warner and Powers quickly realized it could be much more than an anti-theft tool. At present, however, the company is focused on three major product categories: Quality control, inspection and security. Physna has security clients it can’t identify that pay the company to watch for unauthorized copies of their designs. It’s also testing ways to automate the inspection process for commercial equipment, including cell phone towers. Instead of climbing a tower to measure the height and direction of cellular antennas, Physna software is automating the process with drones and scanners. Finally, Physna is talking to some of the world’s biggest providers of computer-aided design software about offering its comparison tools as a way to streamline the design process and verify that what comes off the factory floor meets industrial standards and design specifications. Powers wouldn’t name the companies he’s talking to, but Physna’s website indicates it is a solution partner for Siemens PLM software for computer-aided design. One of Physna’s first investors is convinced the potential is real. “We have an opportunity that’s off the charts,” said Paul Renzenbrink, managing partner for the executive search firm Satterfield Renzenbrink Associates. The former Procter & Gamble Co. sales executive became an early-stage investor and strategic advisor to Physna because of its potential to change so many industries. As the company developed, Renzenbrink sat in meetings with top technical talent for General Electric Co. and Siemens AG. Physna has so far raised nearly $2 million to fund the software’s development and move the 15-employee company into its 6,000-square-foot headquarters at 30 West Third Street Downtown. Powers said the company might try to raise additional capital this year, as the licensing deal could trigger the hiring of more than 100 new employees over time and allow the company to more aggressively pursue clients in other industries. 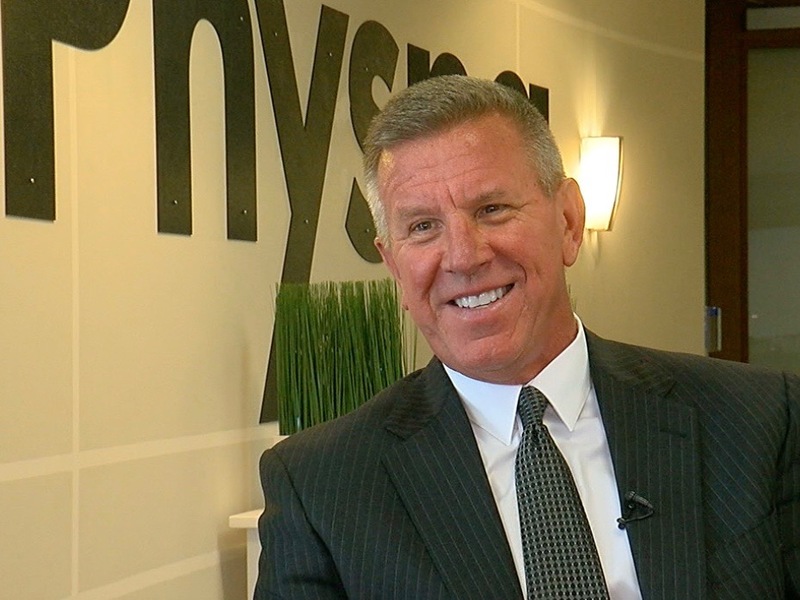 In the meantime, Renzenbrink said Physna has attracted investors and advisors with specific industry experience that will help the company grow. One example is David Siebenburgen, former CEO of the Comair and Delta Connection airlines. With that kind of access to talent and startup capital, Powers is convinced he was right to launch his company in Cincinnati.